As mentioned elsewhere our concern when dealing with oil flues is any system over 40+ years old. 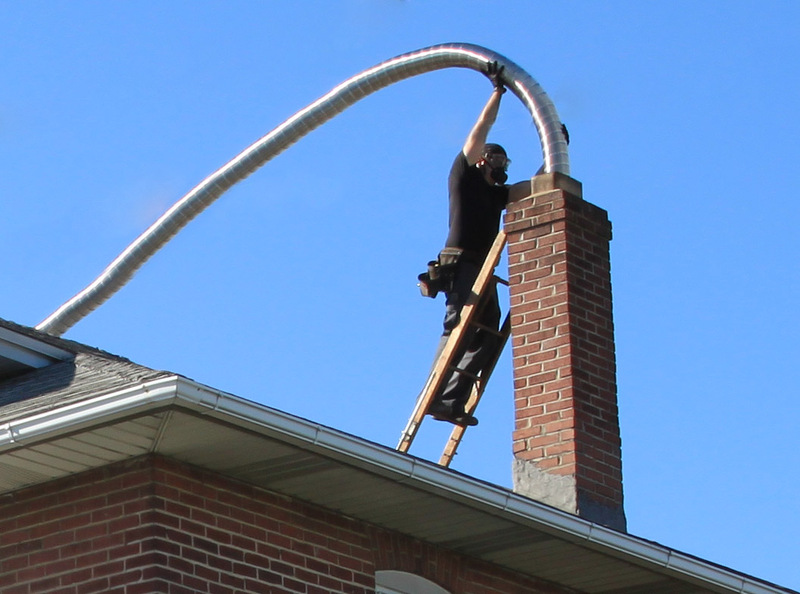 As many homes are 40-60 years old in the Lehigh Valley it is very important to have your oil flue looked at. Most homes were never built with caps and this allows for additional moisture to make its way down the oil flue. This mixing in with the natural condensation of oil and the corrosive exhaust gases starts to eat away the tile and create flakes. Nickel to dime size flakes (which look like potato chips) are considered unsafe by code if they are found after a brushing. The reason for this is that flakes lead to cracks and cracks lead to large chunks that can fall out and block your flue causing carbon monoxide sickness or possibly death. 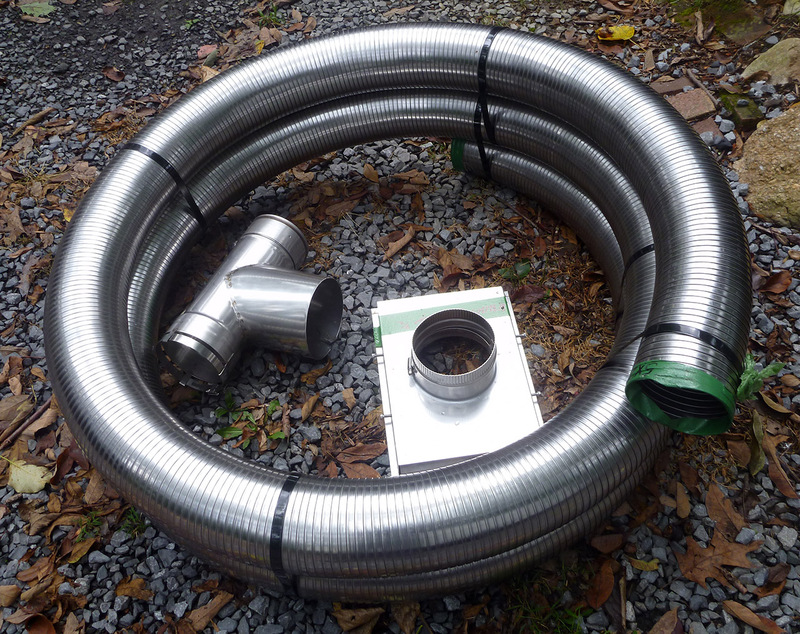 Thankfully stainless steel relines are the solution to a deteriorating tile and most oil flue relines can be performed quickly and can be relatively inexpensive. In general, 95% of oil relines fall in the $2,000-3,000 range for a rancher home to a 2 and 1/2 story. Prices can be lower and higher due to a number of variables such as number of men needed, need for scaffolding or difficult access, need for an Enerved Exhausto fan, etc. For an exact estimate please contact us and we will determine exactly what you need with a once and done installation. We are willing to work with you to find the best solution for your current and future needs while meeting code at the most reasonable price point we can offer you. 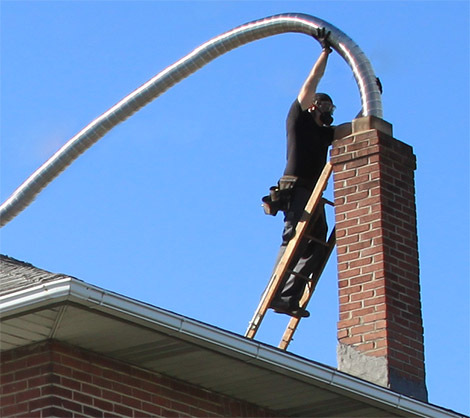 Oil flue relines generally take between 3 1/2 hours to 1 day to install. Usually we will allot an entire day for 1 reline minimum regardless of how quick we think it will go. We try our best to get jobs completed as quickly as possible in a clean, efficient, and professional manner. You won't find us taking many breaks while we're on the job! Homes that are built with a brick and mortar or what are called masonry chimneys have terra cotta lining which is meant to control exhaust gases from your furnace, water heater, stove, or fireplace. Our liners are made in the USA right here in Pennsylvania and come with a lifetime transferable warranty. Our standard offering is a circular .01" thick 316L smooth stasinless steel liner which can support the weight of a 230lb person standing on it. We feel that the 316L Hybrid liner is the highest quality liner on the market currently and since the release of it we have offered nothing else to our customers due to its superior design.